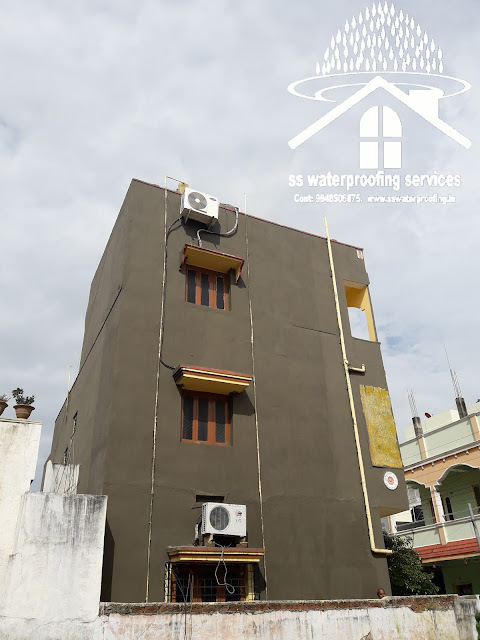 TERRACE WATERPROOFING : Terrace waterproofing is quite tricky as the surface is flat and the water cannot flow in any direction, making it stand still wherever it collects. 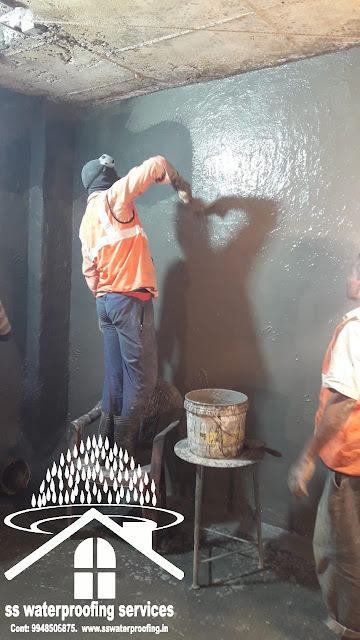 This gives a bigger opportunity to result in seepage and leakage. 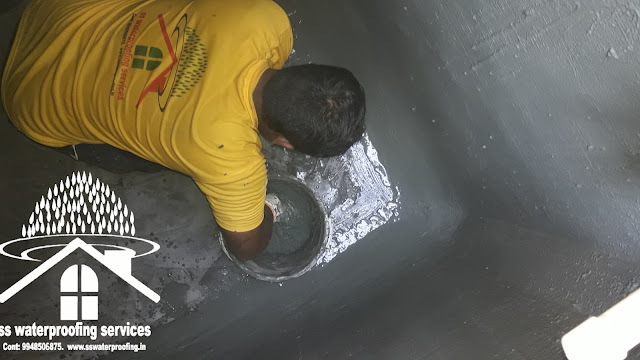 These flat surfaces require a sump or pit for the water to collect before it passes through the drain pipe. All these factors combined together calls for extensive waterproofing. 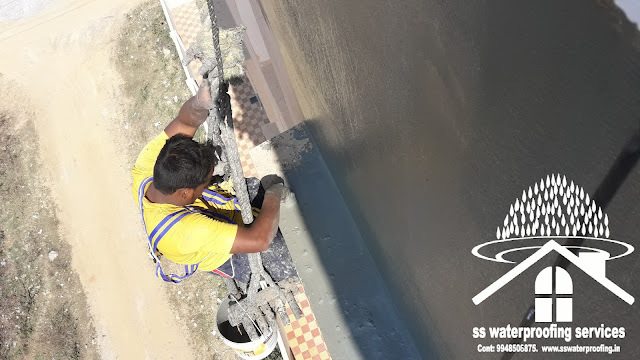 Terrace waterproofing services provided by SS Waterproofing Contractors take care of all the minute details of waterproofing a home, making it more weather resistant. 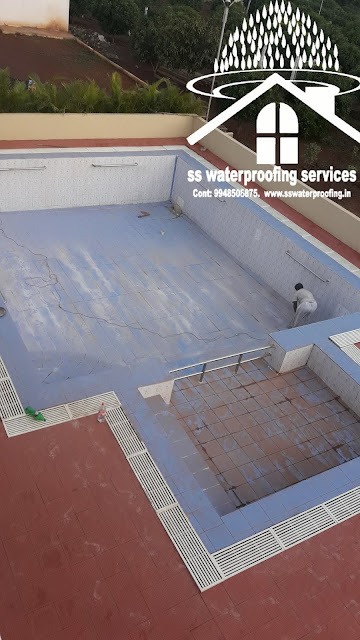 The wear and tear involved in creating a perfect roof that is free from all grime and dirt are achieved through extensive terrace waterproofing. Our techniques ensure that there is no path for water to seep through the surface. Why has Roof waterproofing for complete new home homeowners become essential? 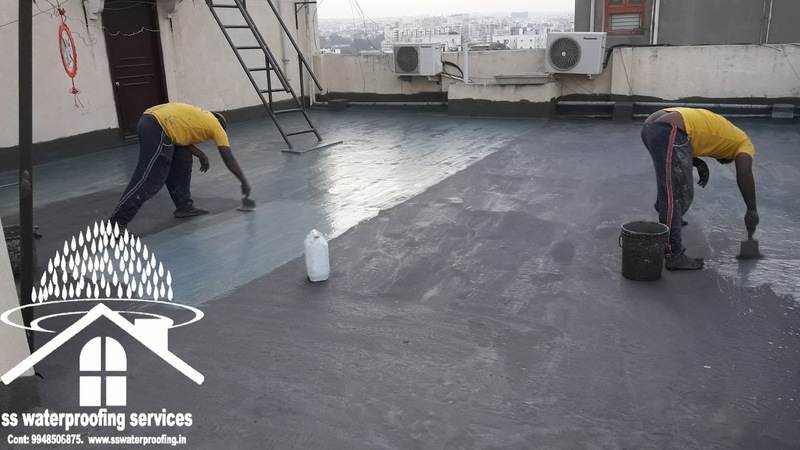 Terrace waterproofing can be an essential house as a result of it's typically exposed to harsh weather, climatic changes, and rains. The terrace surface tends to accumulate rain that in due course starts seeping among the block. Over time the deterioration of the surface will increase leading to lots of injuries. 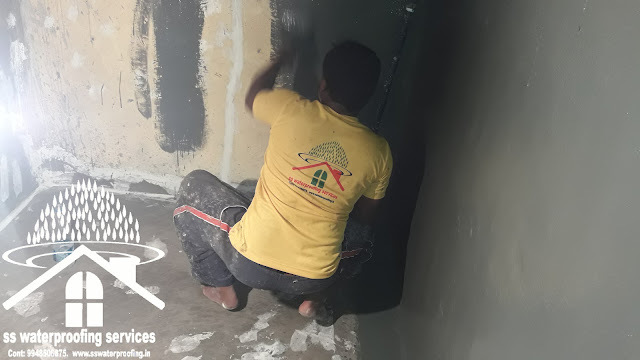 roof waterproofing services swimming pools waterproofing contractors terrace waterproofing water tanks waterproofing contractors in Hyderabad.